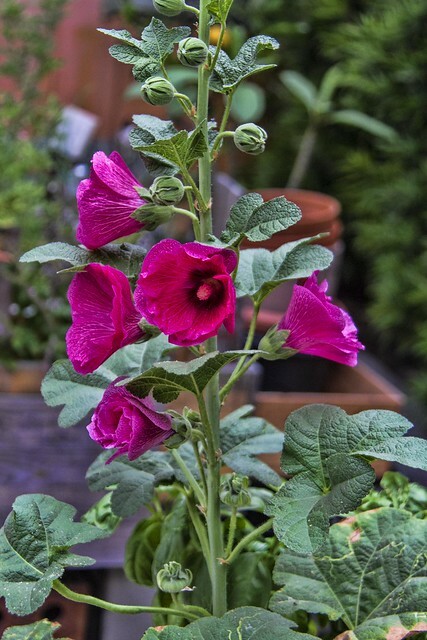 Hollyhocks are one of my favorite flowers. I've been trying to grow this one for too long. But, all of a sudden, it seemed to get taller overnight and started blooming! "Flowers are like friends, they bring color to your world!" Lovely colour and photographed well to show the flowers to greatest effect.